I’m always looking for new uses for overripe bananas. This is adapted from a recipe from All Recipes. These turned out pretty good. 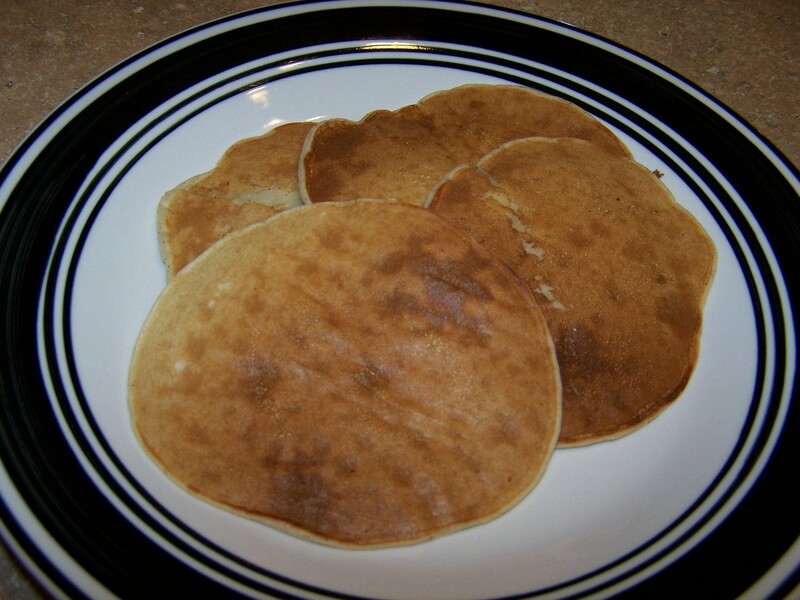 They were more moist than regular pancakes because of the banana. Chloe ate a whole pancake herself! In another bowl, whisk together the egg, milk, oil and bananas. Add this to the banana mixture. Mix until just combined. The batter will be lumpy. 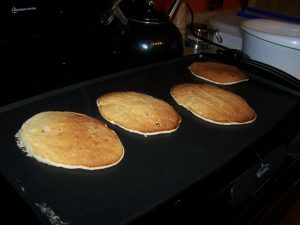 Heat a greased griddle pan over medium high heat. Ladle the batter onto the griddle and cook until browned on each side.